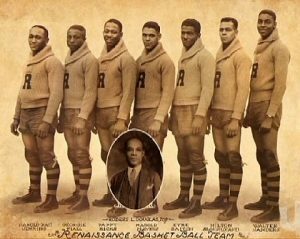 February 13, 1923: Bob Douglas, often referred to as the “Father of Black Basketball” formed the New York Renaissance (the “Rens”). The Rens became the first professional black basketball team in the nation. February 13 – 19, 1961: soundtrack from the movie Exodus is Billboard #1 album. February 13 – 26, 1961: “Calcutta” by Lawrence Welk & His Orchestra #1 Billboard Hot 100. February 13, 2014: U.S. District Judge Arenda L. Wright Allen ruled Virginia’s ban on gay marriage unconstitutional. 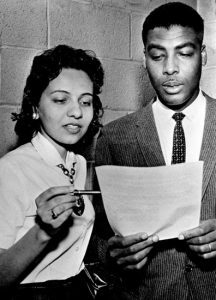 February 13, 2017: U.S. District Judge Leonie M. Brinkema in Virginia issued a preliminary injunction to bar the enforcement of President Donald Trump’s travel ban to and from seven Middle Eastern countries, based significantly on its singling out of Muslim individuals as its target. February 13, 2018: U.S. District Judge Nicholas Garaufis in Brooklyn blocked President Donald Trump’s decision to end the Deferred Action for Childhood Arrivals that protects immigrants brought to the United States illegally as children from deportation. Garaufis in Brooklyn ruled that DACA, cannot end in March as the Republican administration had planned, a victory for Democratic state attorneys general and immigrants who sued the federal government. February 13, 2018: Judge Richard M. Berman sentenced Ahmad Khan Rahimi, the Afghan-born immigrant planted the bomb that exploded in Manhattan in 2016, to two life terms in prison. 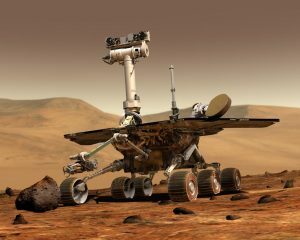 February 13, 2019: after 15 years on Mars, the mission of NASA’s Mars rover Opportunity appeared to have come to an end. The wheeled explorer was only supposed to function for 90 days, but it went on to assist in many discoveries about ancient conditions on Mars, becoming the longest-lasting robotic explorer sent to another planet. The rover had been silent since June 2018 when a planet-wide dust storm prevented sunlight from reaching its solar panels; lacking energy, Opportunity could not stay awake. The hope was that the rover would revive when the skies cleared, but it had not responded after months of efforts to contact it.